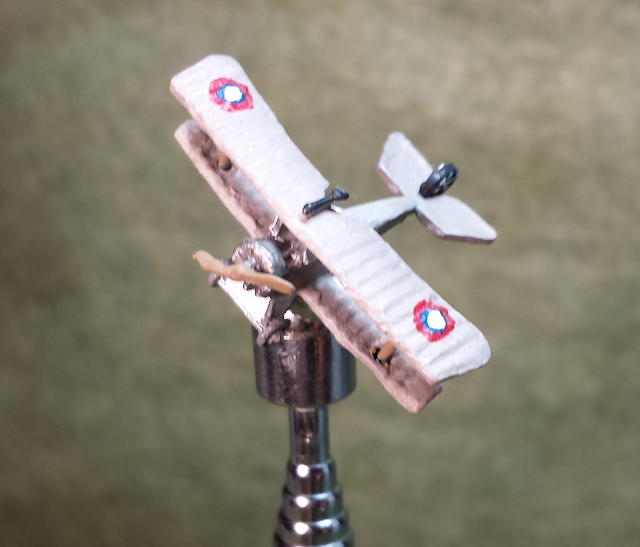 I painted Nieuport 17 from CinC Miniatures way back in early 2012. Well, later that same year it took a bit of a tumble off the table and exploded into about million pieces. In the following months, JADE took off in different directions and left Canvas Eagles behind, the plane sat On ruin on my shelf. The years of neglect passed by, marked only by a growing layer of dust; until last week. With a big Canvas Eagles game planned on Saturday October 18th for my birthday dinner with my folks, I needed my Russian Nieuport 17 (which I used as a Nieuport 16) in the air! It was time to sit down and finally fix it. I also had higher ambitions, I was going to repaint the skull and cross bones on the tail. 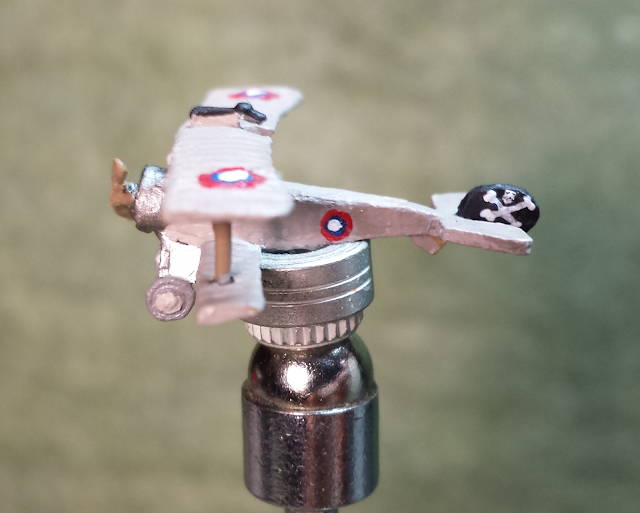 I had originally painted the tail with a skull and cross bones back in 2012, but my skill has considerably improved since then so I decided to give it another go. And it turned out great! 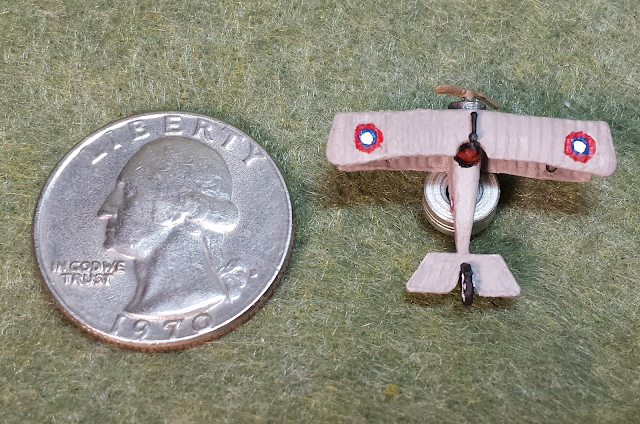 Not the highest detail, but given the size of the plane I am very pleased with it. 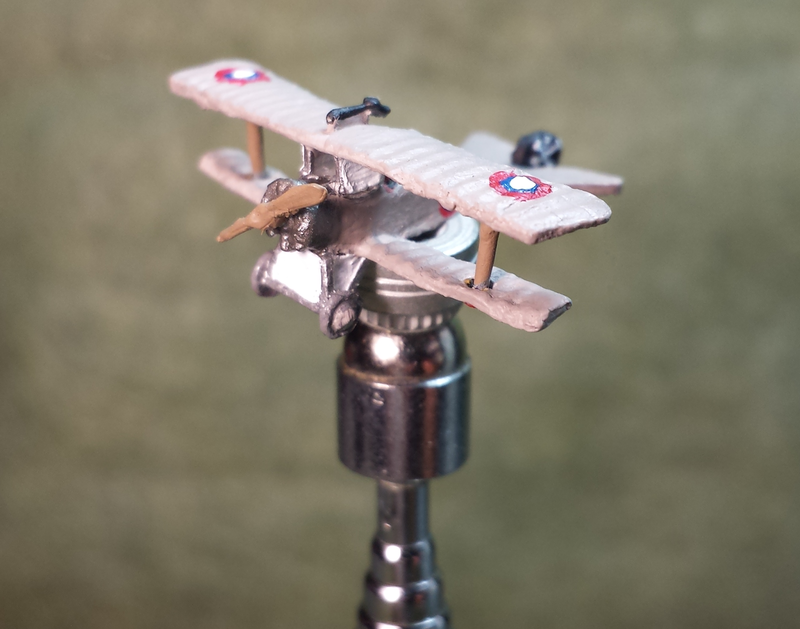 With the recent boom in Canvas Eagles games, I am sure we will see this guy up in the air and fighting the good fight against the Central Powers very soon! The six player game went awesomely! 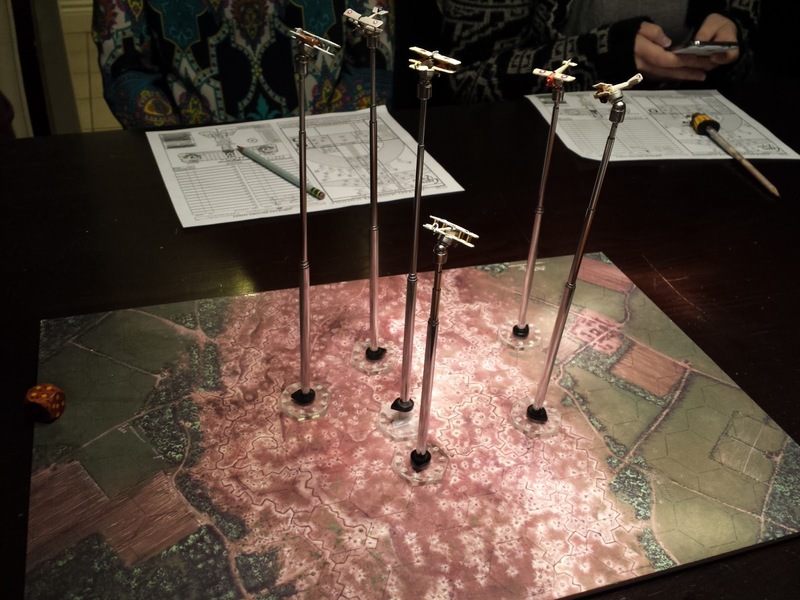 You can see the Nieuport in action at the top center.